Listening to clients and prospect is one of our most important responsibilities. That’s the best way to insure our solutions address your real-world problems. Over the last several months, one thing we’ve heard consistently, from manufacturing pros across a range of industries, is the desire for options when it comes to embracing cloud ERP. 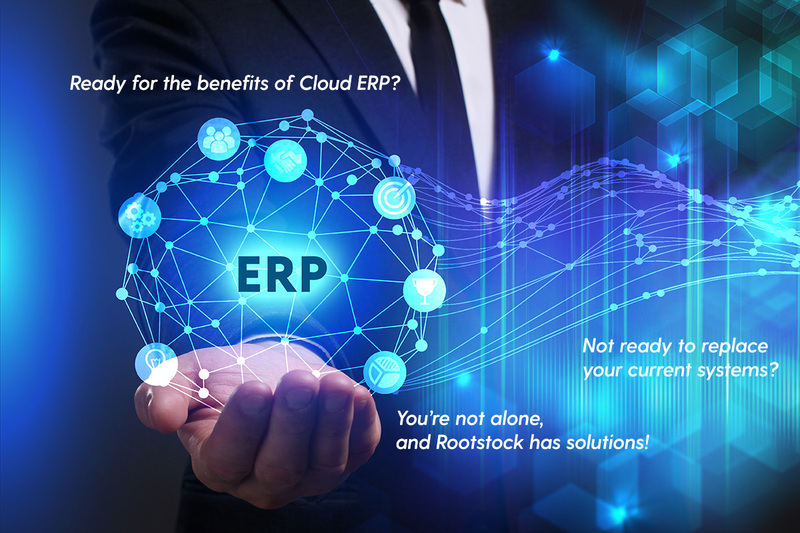 Rootstock is responding to this urgent market need with “Unlock ERP,” a program of options for adopting ERP the way you want to. We now offer three paths to help you migrate to cloud ERP. You can read more about all three here, but today I’d like to focus on the simplest and fastest path to gaining value from cloud ERP: our new ERP Data Framework. As I mentioned, we talk to a lot of manufacturing companies about ERP, and why moving to the cloud makes so much sense. We almost always get a positive reaction to the idea of moving to cloud ERP, but the reality is that changing out a central system of record may not be possible for some companies in the short term. They’re simply not ready to commit the time and resources needed for a full ERP replacement, but they want (and often need) some of the benefits of Cloud ERP now. It became clear to us that the market was hungry for a less disruptive approach. The Rootstock ERP Data Framework is a collection of pre-configured ERP data objects. These objects match typical ERP systems, which enables organizations to easily transfer and map legacy ERP data to the Salesforce Platform via Rootstock’s API, using Mulesoft or other integration tools. Installation wizards also speed up the installation process. Once the ERP Data Framework is populated, Salesforce users get a complete 360° view of customers and ERP information, such as inventory, production schedules, costing, invoices, returns and other data. Plus, Einstein Analytics and AI can be put to work on a combined ERP and CRM data set on one cloud, delivering customer and business insights that would be unavailable otherwise. For any manufacturer who wants to start experiencing the benefits of cloud ERP, but isn’t ready to take on a wholesale transformation, the Rootstock ERP Data Framework provides a great way to get started. To learn more about Rootstock’s ERP Data Framework, watch this two-minute video! You can also join us tomorrow for a 30-minute webinar introducing you to all three “Unlock ERP” options, or contact us now to start discussing how to unlock your ERP data with Salesforce CRM and Rootstock ERP.